5003 W. Neptune Way, Tampa, Fla. The Hohman Homes Team worked diligently with the sellers to close on this 4-bedroom, 3-bathroom, 2,252 sq. 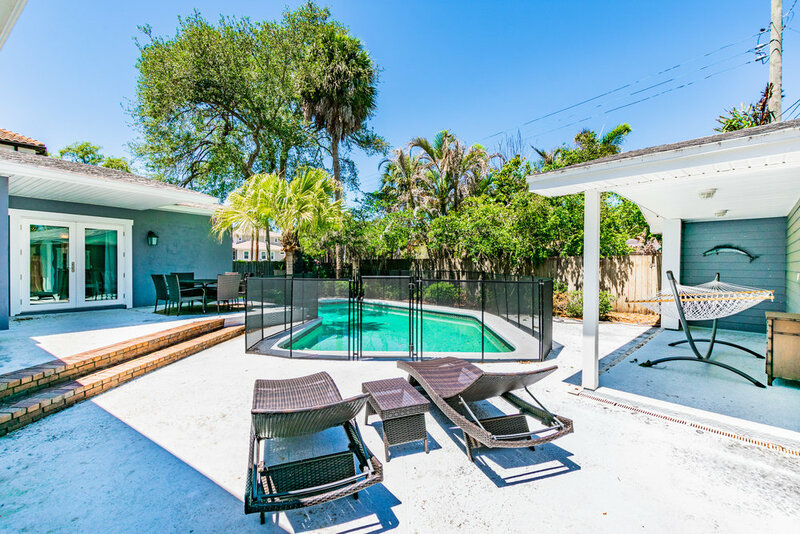 ft. pool home in the heart of South Tampa. Every major feature, both inside and outside have been upgraded and renovated since 2016. The gourmet kitchen features custom cabinetry and trim with the best in new granite countertops and appliances. Plus, the dining room is meticulously laid out for plenty of guests. The master bathroom in the main house of this property should be on a magazine cover! From the free-standing soaking tub, separate shower, dual vanities, and custom closet, you won't want to miss it. The backyard and outdoor spaces showcase great lounging and play spaces for kids and adults of all ages. Plus, utilize your own work shed with electricity and a detached guest house. And did we mention: pool!